Who was Mike Anton Werner? 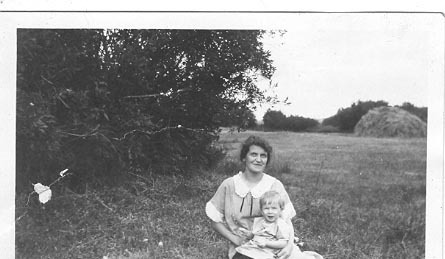 Mike Anton Werner married Hulda Kristina Magdalena Johnson on April 28, 1915 in Winnipeg, Manitoba, Canada. 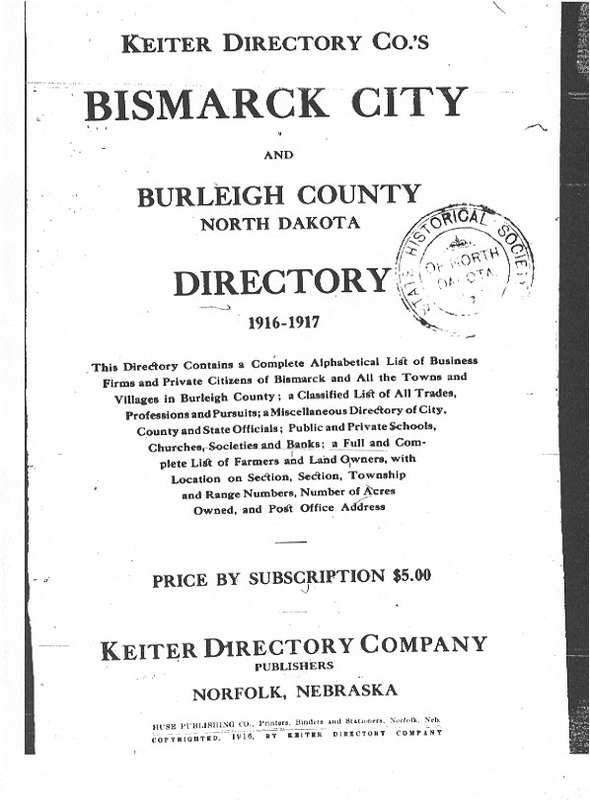 Thanks to Mr. D. Edwards from a Rootsweb North Dakota list and the State Historical Society of North Dakota, we are beginning to learn a few things about Mike. Mike Anton Werner stated on his social security application that he came from Agram, Austria. After WWI however, the town became Zagreb, the capital of Croatia (Hrvatska). This historical information came from Mr. F. Kurchina of the CROATIA-List at Rootsweb: "Before WW I, Croatia was part of the Austro-Hungarian Empire. The 1910 - 1920 U.S. Census enumerations would have listed Austria-Hungary or some similar designation as the country of origin. Following the First World War, new borders for Austro-Hungarian Monarchy were set by the Treaties of Saint Germain-en-Laye (September 10, 1919) and Trianon (June 4, 1920). As a result, the Austro-Hungarian Empire was utterly transformed into smaller territories and new countries." 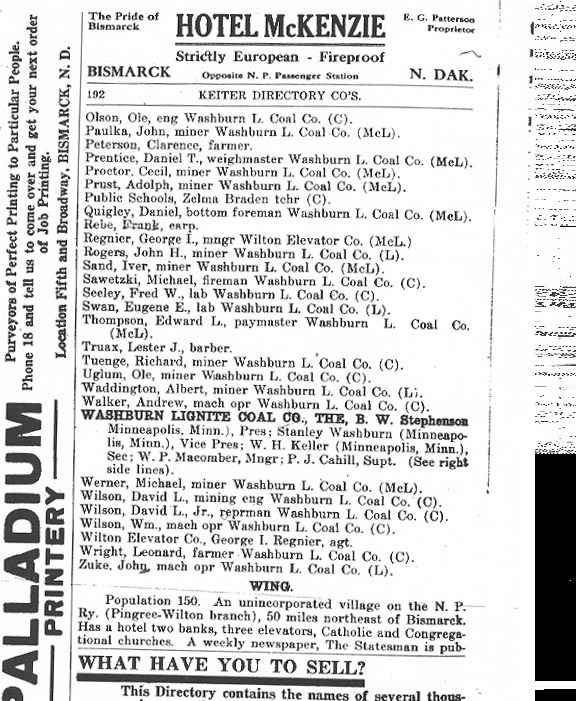 Mr. G. Rotter from the AUSTRIA-List suggests, "Werner is a very common German/Austrian name and surname. Since Croatia was part of the Austrian-Hungarian Empire for many centuries your ancestors surely came in as soldiers or administrators. So, your starting point should be the archives of Vienna/Austria." 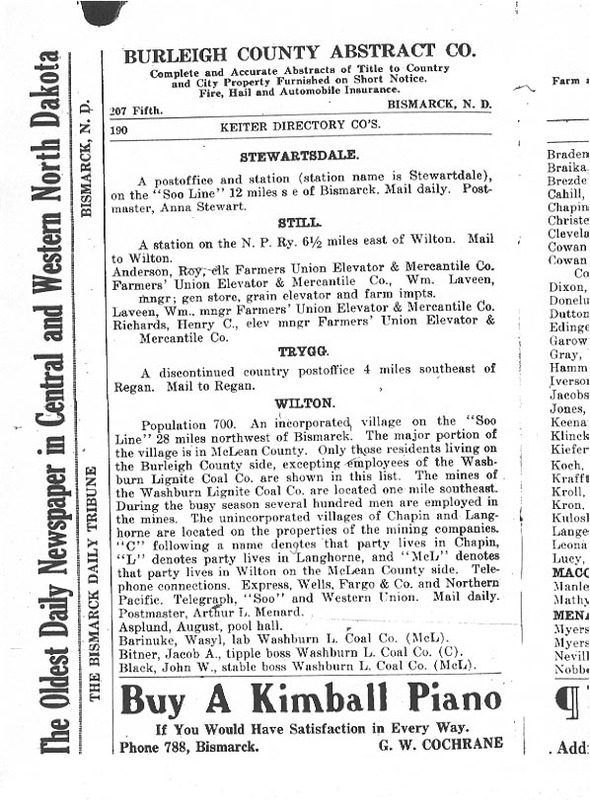 The Town of Wilton, County McLean, North Dakota 1910 Census states that Mike Anton Werner immigrated in 1906 and Hulda Johnson in 1914. 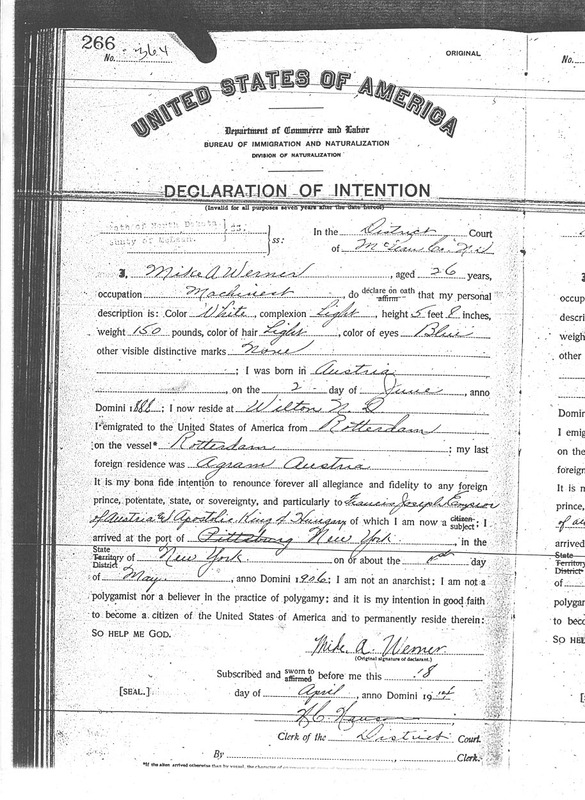 Mike became a naturalized citizen in 1919. Johnson, Otto,Servant,mw20Single,born Swed-Swedish, Father b. Swed-Swedish, Mother b. Swed-Swedish, to USA 1908,Alien, Speaks English, Laborer - Hotel. 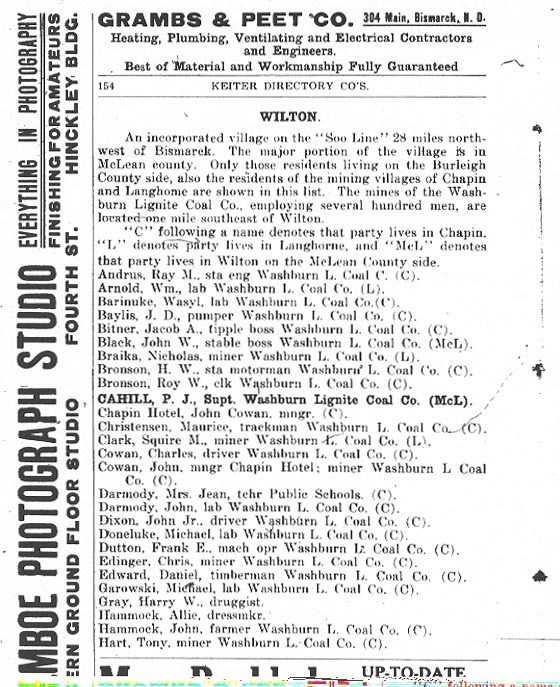 A 1915 Census search failed to find a listing for Mr. Werner although I know from the Burleigh County directories that he was living in north Wilton at the time. 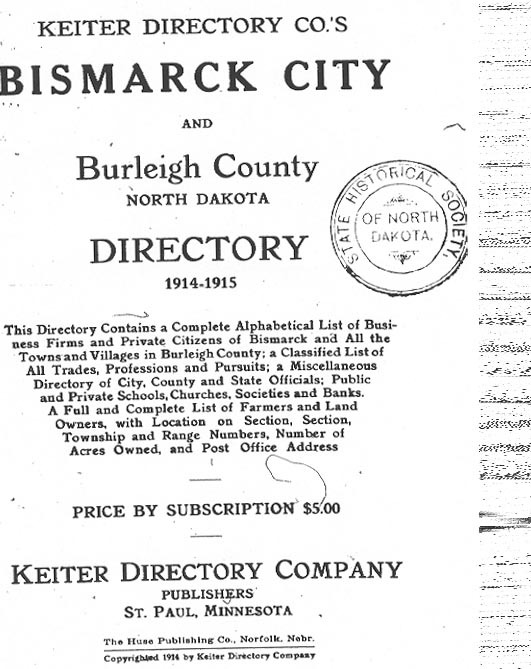 I am not sure why he was not listed in the 1915 census but I did run through the listings several times for both McLean and Burleigh County. 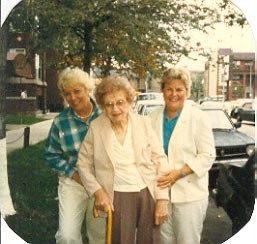 I am afraid that he was either missed when the census was taken or out of the area." Can Read & Write BirthPL-(Skonvik) Sweden, FatherBPl-Sweden, MotherBPl-Sweden. In the 1930's they migrated to a farm in Illinois. 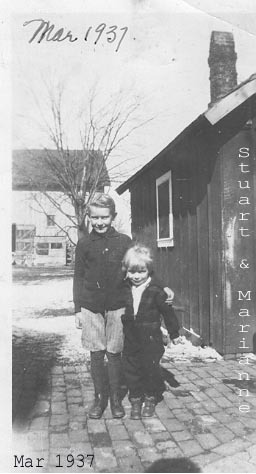 Stuart and Marianne Catherine were born in Illinois. 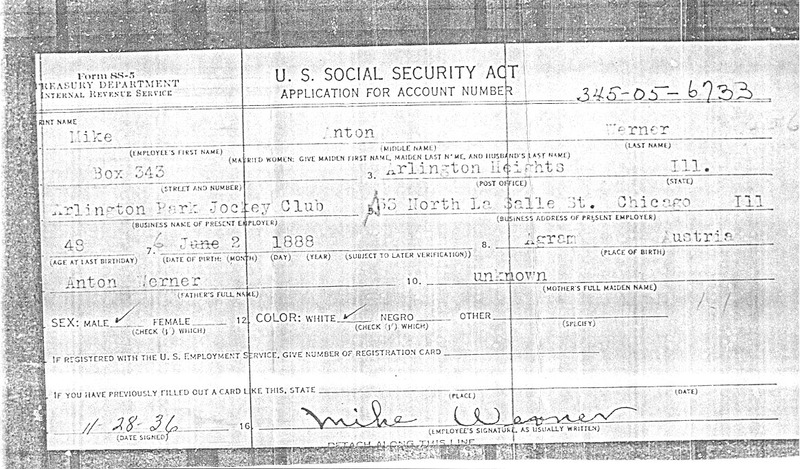 In 1936 Mike Werner's Social Security Application (Chicago 28 November 1936) states that he was born 2 June 1888 in Agram, Austria. 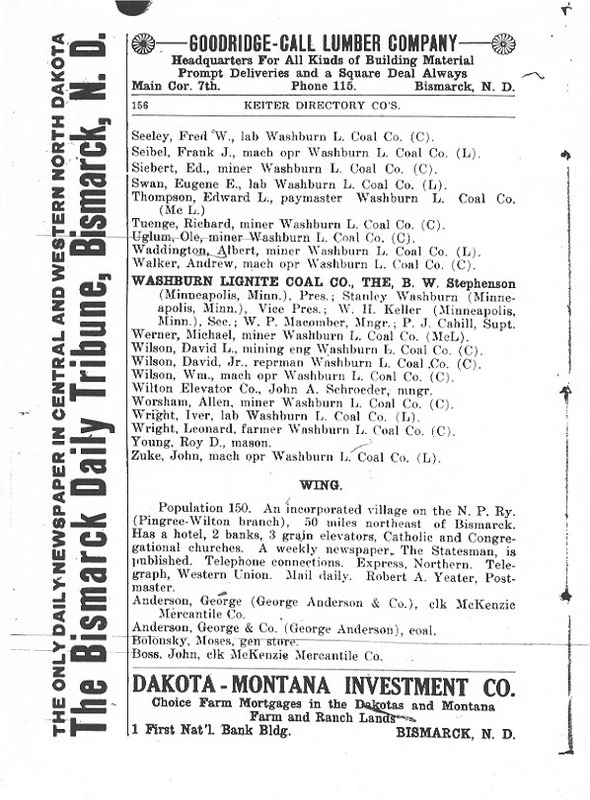 It lists his father as an Anton Werner and inexplicably states that his mother is unknown. 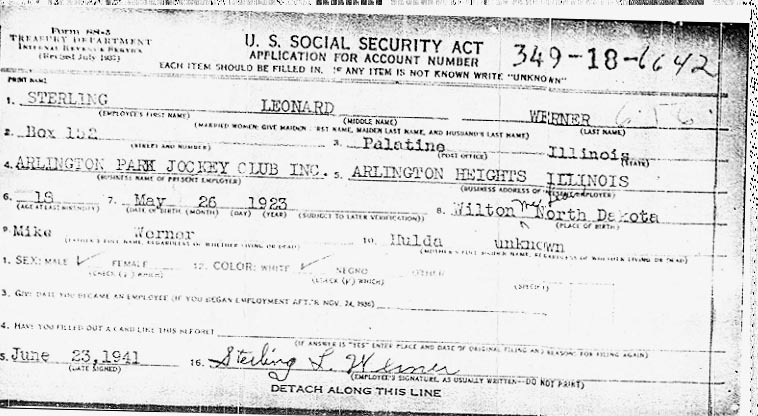 Mike worked at the Arlington Park Jockey Club in 1936; he probably played there also. We never met him. I am not certain that any of the grandchildren met him. When questioned our mother would tersely state that he later worked in a small film studio on Devon Ave. We heard later that he was employed there as a janitor. 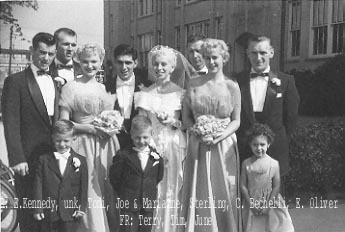 Despite a challenging childhood and growing up during the Great Depression, Mike & Hulda's children did fairly well for themselves. They also managed to look out for one another throughout the years. Harriet married Wm. Tannehill and they ran a successful custom saddle business outside of Chicago known as Raceway Saddlery. Bill's beautifully crafted saddles (many with hand tooled leather) were very much in demand amongst many jockeys. Bill and his tack traveled to the larger races around the country. When they had time to relax, Bill and Harriet were expert square dancers and belonged to the ____?____ Club. Occasionally the demand for Bill's wares would be so high that he would press my Dad, his brother-in-law Joe, into service. We older children would often pitch in assembling riding crops; sawing fiberglass rods and twining rubber cemented leather. 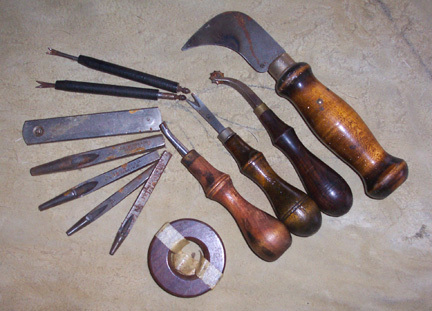 After Bill passed on we were lucky enough to inherit some of his leather working tools. Some documents list his ethnicity as "Slov"
There are several Werner's listed in the Zagreb phone directory.